Welcome at our AMERICAN-AKITA website. When I met Jan in 1989 he had 2 Akita's from the American type and it all started with them, Maras and Maru, their names has ledd to my kennelname: Mara-shimas. 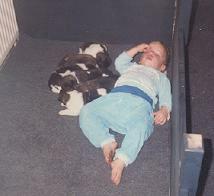 Our son Jaimy, who was born 7th May in 1990 was raised between our Akitas. 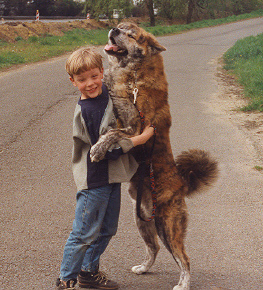 In 1997 we moved back to Holland with the Akitas and went on with our Shibas, in which we are until today very succesfull. 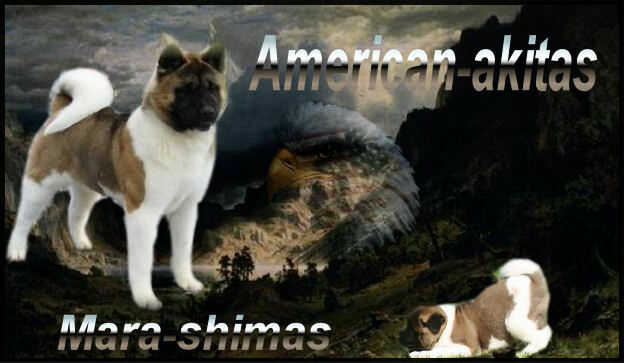 9 Mara-shimas became Worldchampion and more than 30 homebred Shibas are national and/or International champion. We are extremly proud of our accomplishment in the breed and hope to do the same with the AA. The American Akita is a fantastic breed!